Jim is a soldier in the most elite unit in the American military. Black ops. Cleans up his country's dirty laundry. He loves it, loves working on his own, loves that he's good at it, loves that he's ridding the world of evil, one bad guy at a time. Missions on the border between Pakistan and Afghanistan, sniping through gullies and crosswinds. It's tough work, but someone's got to do it. One day he's handed a mission: easy kill. He stares at the folder. He knows the man. A friend. This isn't right. When he sets out to discover the truth, he learns too much, and endangers himself, his country, and the ideals he cherishes in life. Will he survive? What was most disappointing about Nelson Lowhim’s story? He was terrible -- sounded like Jim Nabors trying to sing. 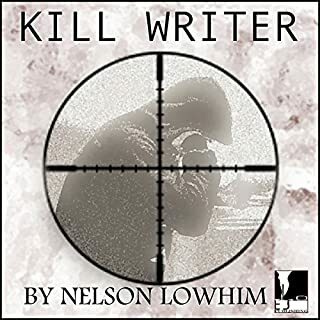 If you could play editor, what scene or scenes would you have cut from Kill Writer? How about the whole book. This book combined a pointless story with the worst reader I've ever listened to. I gave it one star only because it was cheap and, thank goodness, short. 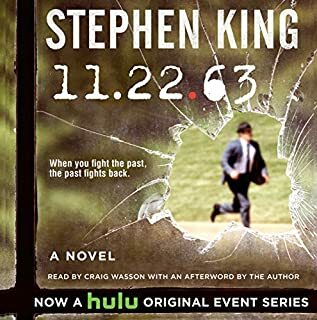 If you could sum up 11-22-63 in three words, what would they be? It allowed me to re-visit an earlier period in my life via a masterful tale built on the exploitation of a credible doorway through time. Jake and Sadie re-uniting at the end. Too long for that -- but I know I didn't want it to end. I'm a fan of Stephen King and this has to be, far and away, his very best. Plus the reader is also the best I've heard on Audible. Set in California's lush Napa Valley and spanning four generations of a talented and visionary family, The House of Mondavi is a tale of genius, sibling rivalry, and betrayal. 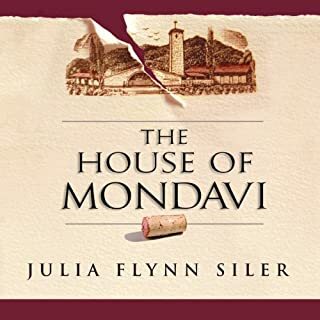 From 1906, when Italian immigrant Cesare Mondavi passed through Ellis Island, to the Robert Mondavi Corporation's 21st-century battle over a billion-dollar fortune, award-winning journalist Julia Flynn Siler brings to life both the place and the people in this riveting family drama. pronouncing every family member's name as Mon-dah-vi. I don't remember anything saying they all decided on this new pronunciation. Especially egregious, is his mis-pronouncing the name of the prominent town, St. Helena. As a former resident, you couldn't be anywhere in the Napa Valley and not know that the town name is pronounced Saint Hel-eena. All in all, I'm sorry we bought this book. Virgil's always been known for having a somewhat active, er, social life, but he's probably not going to be getting too many opportunities for that during his new case. 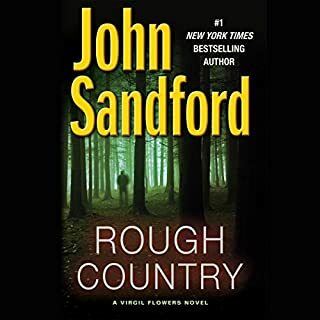 While competing in a fishing tournament in a remote area of northern Minnesota, he gets a call from Lucas Davenport to investigate a murder at a nearby resort. This is the most completely entertaining audiobook I've listened to in quite some time. It's a well-plotted story played-out by a really likable protagonist and a great mix of supporting characters. The story has considerable humor, dry and otherwise, woven into it which actually enhances the listening experience. The reader is very good -- especially his interpretation of Virgil Flowers. This is audiobook dollars well spent. Usually the more extensive an author's research, the higher the quality of his/her written product. Alas, this is not the case with the "Lost Symbol." By the time the hundredth, or so, Masonic factoid was revealed, I'd already had enough. True, the information about buildings in Washington DC is interesting but I didn't buy the book as a gazetteer. The premise that the revelation of Masonic "secrets" would constitute an earth-shaking breach of national security is ludicrous and truly pretentious. And, casting the CIA in a domestic cloak-and-dagger role further impugns the story -- such as it is. All in all, this is a really boring book -- but maybe I just can't decode the "wisdom of the ancients" lurking in its pages. Save your money unless you need a sleep-aid. 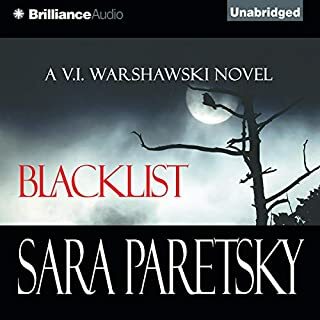 Heroine and renowned FBI profiler Karen Vail returns in an explosive thriller set against the backdrop of California's wine country. Hoping to find solace from the demons that haunt her, Vail makes her first trip to the Napa Valley. But shortly after arriving, a victim is found in the deepest reaches of an exclusive wine cave, the work of an extraordinarily unpredictable serial killer. This is the FBI's Best? 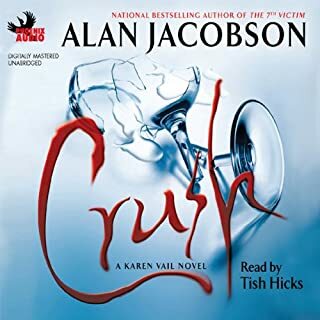 This is the first Karen Vail novel that I've listened to -- and it's going to be my last. The story is OK (not great) and I'm enjoying it only because I lived for a number of years in the Napa Valley. The reader, too, is OK. But Karen Vail! -- how did the FBI ever hire such an irrational, dysfunctional, dim-bulb? The woman's a disaster with barely enough sense to use a Blackberry -- she certainly shouldn't be trusted with firearms. And a note to the reader -- it's St. HelEEna not Helen-ah. Emily Hudson is an artifacts expert for the U.N. who travels to war torn countries attempting to save their priceless treasures from destruction. Her best friend and partner, Joel Levy, is always at her side - until one day her entire crew comes under attack. Joel and Emily are held hostage by a ruthless and evil captor who is determined to find the missing link to a legendary treasure. If you're looking for an insipid romance novel in the guise of a less than mediocre suspense thriller -- here's the book for you. Plus, the female protagonist is completely unlikable, and she's "coupled" with a "hero" who keeps dragging the story line into his pants. The reader is OK considering the shallow material she has to work with. All things considered either go with the Romance genre or the Mysteries & Thrillers genre but avoid this mushy alliance of the two. Myron hasn't heard from Terese Collins in years. Not since their affair ended with no explanation. There had been no contact since, so her call catches him off guard. She's in Paris, she says, in trouble, and only Myron can help. She tells him a sad story she's never before revealed: a good marriage, her struggles to get pregnant, the happiest moment of her life when her only child was born, the day everything she'd ever loved was taken from her. 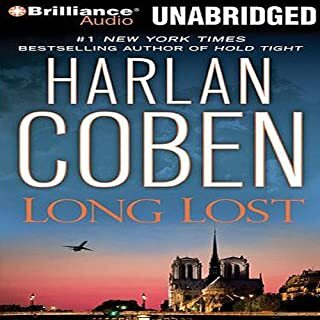 "Long Lost" is a great story with a number of interesting "twists." It's a real suspenseful thriller with likable protagonists and humorous quips thrown in along the way. And, the reader is one of the very best I've ever listened to. This is a story of secrets and betrayals that stretch across four generations - secrets political, social, sexual, financial: all of them with the power to kill. Eager for something physical to do in the spirit-exhausting wake of 9/11, V.I. accepts a request from an old client to check up on an empty family mansion; subsequently surprises an intruder in the dark; and, giving chase, topples into a pond. Grasping for something to hold on to, her fingers close around a lifeless human hand. Here's an audiobook that really needs to be abridged to separate the story from hours of superfluous blather about the "McCarthy Era." I appreciated the occasional jab at the stupidity of the Patriot Act, but hours spent reliving the (fictitious in the audiobook) trials of the House Unamerican Activities Committee -- boooring, and not much to do with the underlying (and I do mean underlying) story. The story itself is OK (not great) but it's so broken up by McCarthy-stuff, and there are so many characters/names, that you lose track of who's doing what to whom -- to the point you don't really care. 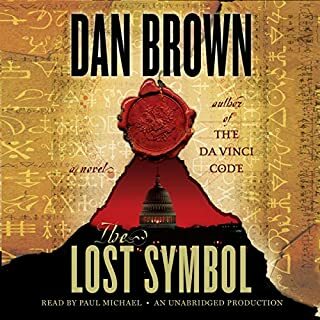 Save your money -- Audible has lots of better audiobooks to choose from. Why we think it’s a great listen: How do you one-up a book that’s already a global literary phenomenon? 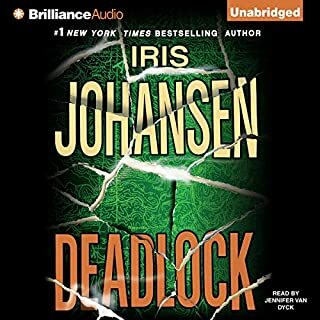 Hire Simon Vance to (flawlessly) interpret the loves, lives, and murders of Sweden’s cold and secret-filled world. A spellbinding amalgam of murder mystery, family saga, love story, and financial intrigue. 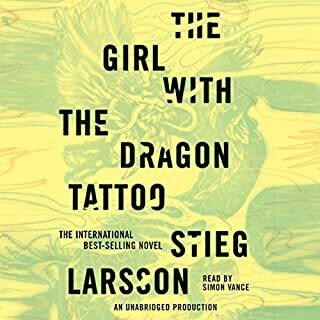 It's about the disappearance 40 years ago of Harriet Vanger, a young scion of one of the wealthiest families in Sweden. The reader is good. The underlying story is quite good. However, the story is mixed in with much too much (for my tastes) minutiae dealing with 20th Century Swedish politics and social issues. If the Swedish history lesson were to be abridged, the remaining story would be very enjoyable. I did learn, though, that Swedes must have powerful kidneys, enormous bladders, and be wired all the time considering the amount of coffee consumption described in the story.